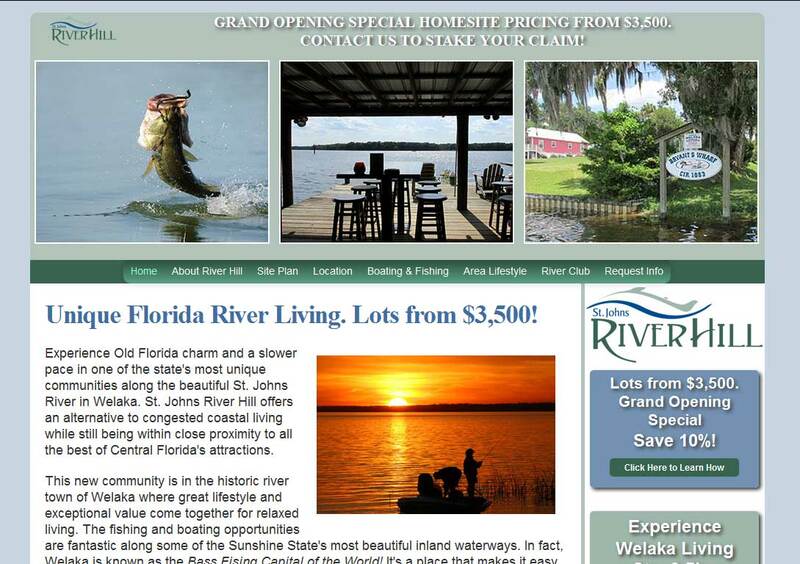 DESCRIPTION: The St. Johns River Hill website was designed by REDdot Marketing and developed by PTC Computer Solutions. Experience Old Florida charm and a slower pace in one of the state’s most unique communities along the beautiful St. Johns River in Welaka, Florida. You can find out more by going directly to their personal website, www.stjohnsriverhill.com, or contact them directly at info@stjohnsriverhill.com or (800) 957-0213.